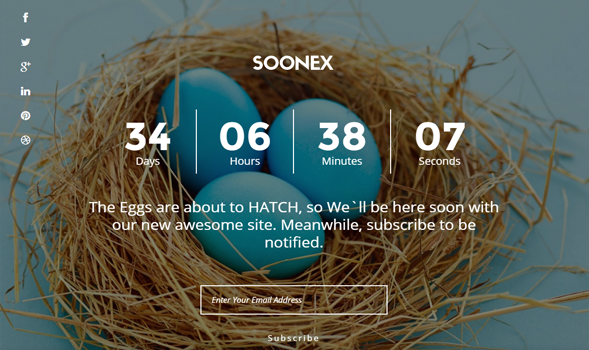 Soonex is a multi-purpose coming soon and under construction responsive blogger template for any business company that is looking to launch their website. This template provides a nice countdown to your product launch helping you to gain pre-orders before launching it for public users. Some people use it to gain a number of email subscribers, while others use it to create a buzz on the internet by showcasing a mini product teaser with coming soon sign. Therefore, we have designed this template exactly like your needs.